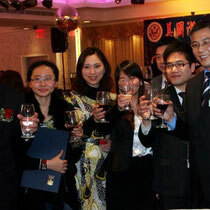 The party was held on Feb. 25th, composing of Zhejiang business elites. More than 500 celebrities from political and commercial circles came to the party. 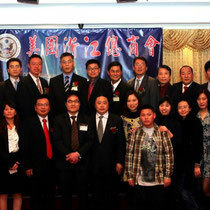 The counsel general of China embassy in New York Mr. Wang, the New York Senator Sturm Stravinsky, the New York congressman Grace Meng, and many others also joined the party. 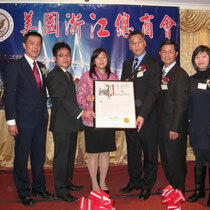 The president of ZCCA thanked everyone for coming. 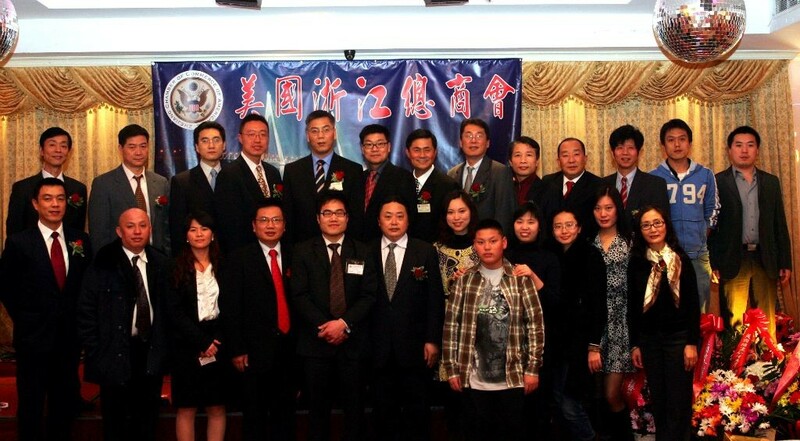 ZCCA is an organization that composed of mainly Zhejiang business elites and is one of the most influential organizations among Chinese people. 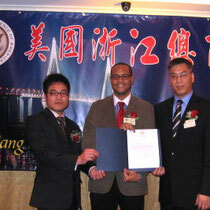 Our members are active in American society. In 2008, our chamber handsel Chinese flags to people in order to cheer for Beijing Olympics Games. 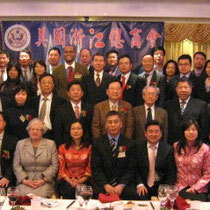 In 2009, the chamber held an activity to give credits to Chairman Hu and Prime Minister Wen for their contributions in world peace. We also never forgot to contribute to the community. 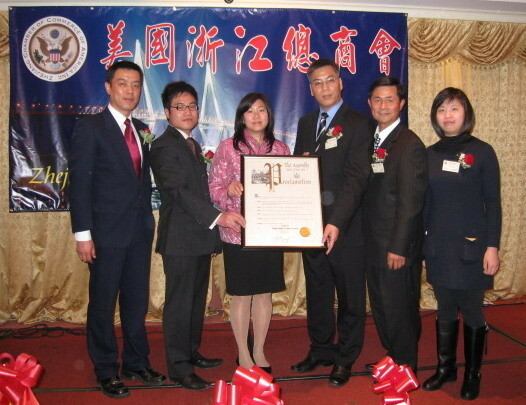 In addition, we supported city representative Mr. Gu and congresswoman Grace Meng during their election. In order to develop our chamber and community, our chamber put up “Federal Business Development Center”. The center would develop more companies for the community in the future. 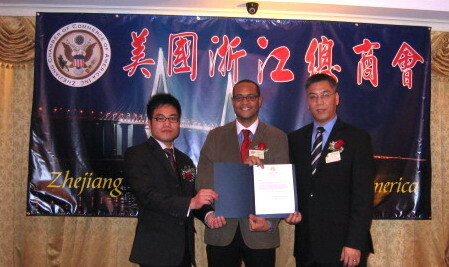 The representative of mayor said that he felt so glad that the chamber offers him a great opportunity to know Zhejiang. He loves Zhejiang so much.